An attractive addition to your bedroom. 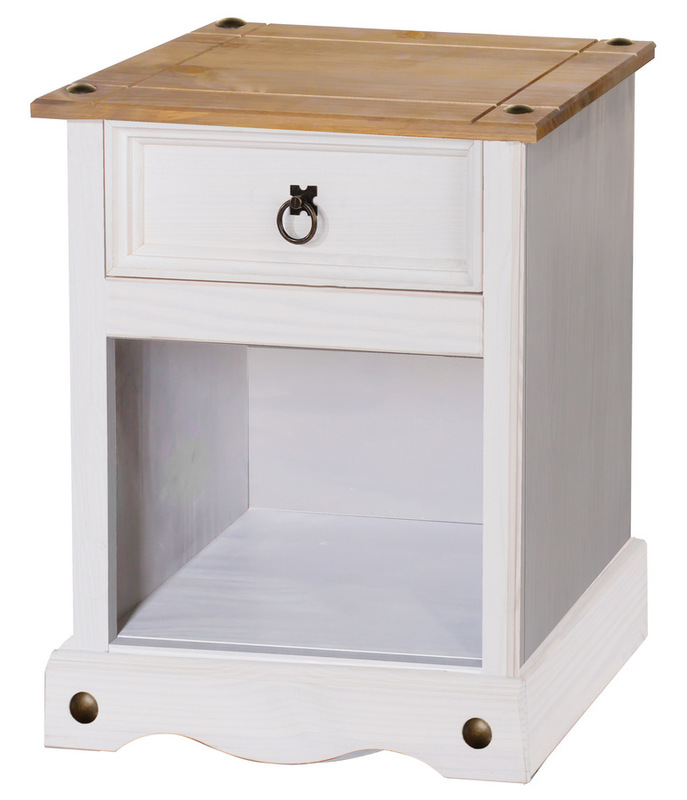 Boasting ample storage space for your night time accessories with a good sized cubby-hole and drawer. The top provides amble space for a lamp, picture frame and drinks coaster. 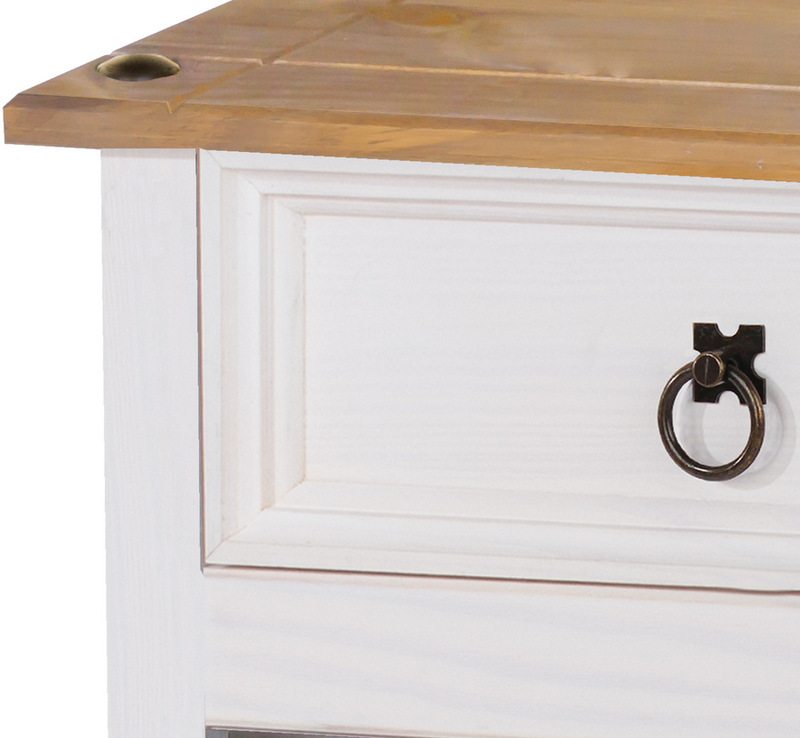 Mexican style with framed drawer moldings with metal ring pull handle and stud detailing. 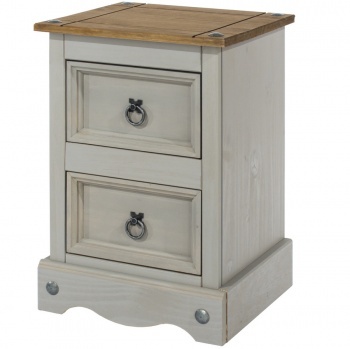 Beautiful washed wax finish allows the natural beauty of the grains and knots in the wood to show through. 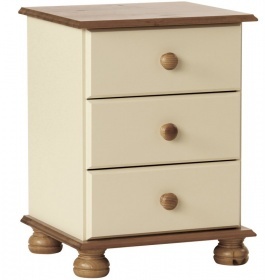 Strong and sturdy build with real dovetail drawer joints for extra durability. Made from responsibly sourced South American solid pine. Plywood cabinet back and drawer base. 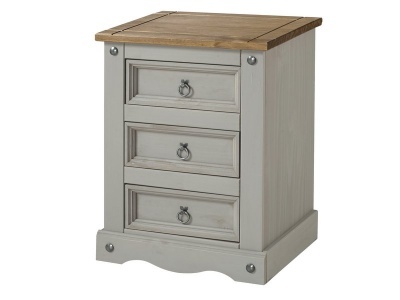 Colour: White washed wax and antique pine. Flat packed for quick and easy home assembly. Full instructions included. 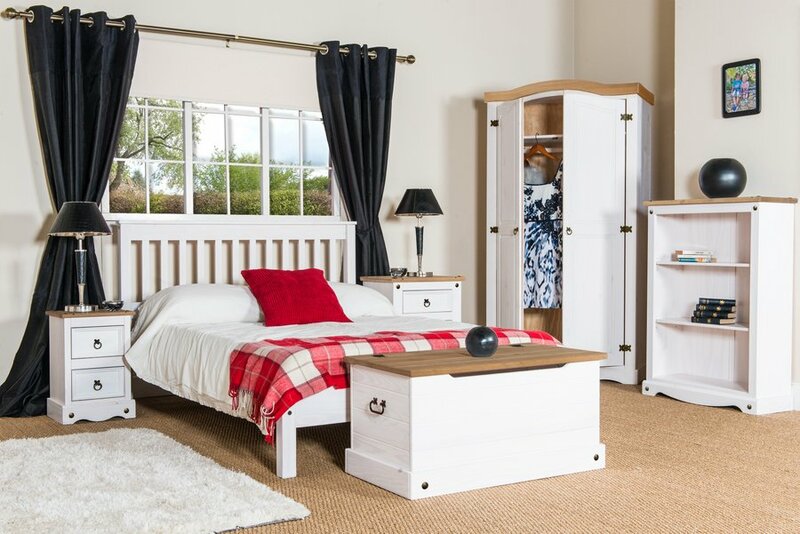 Part of our white and pine furniture collection.